Bespoke suits are the highest achievement tailoring. There’s a lot of detail to get your head around when thinking suits, and this series is here to shed some light on the world of tailoring. #2. What is a Suit’s Silhouette? The silhouette is the overall shape formed in your mind when you think of a suit. And as with everything in life, it’s influenced by our fantasy of the perfect body. The Adonis body that we spend so many hours achieving in the gym, the steroid pumped photoshoped version of masculinity splashing the covers of men’s lifestyle magazines, the bio-engineered hourglass form of a human, is indeed the ideal shape that every suit is aiming – in one way or another – to achieve. And as the art of tailoring has evolved, so have the subtle ways in which suits convince you that the wearer is the very epitome of the ideal man. The original Beau Brummell suit, while being rather straight cut, was novel in it’s use of tailoring to create the hourglass figure so desperately desired by men over 30. In the above portrait of Beau you can see the wide lapels and pleated waist adding bulk and giving us the desired illusion. 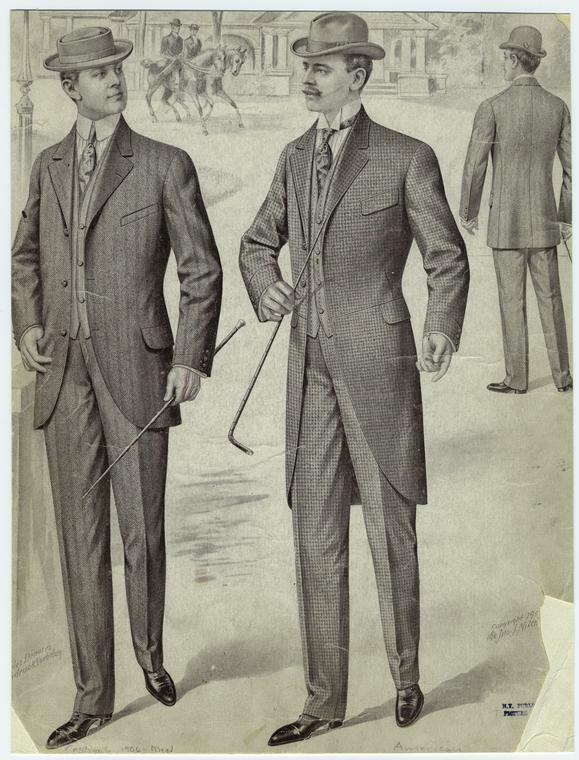 By the 1900s this notion had become so popular that ‘a suit’ was instantly recognizable as a category of clothing. By this time the main silhouette and features of the suit had been formalized, and conventions of matching become an important indicator of ones prowess. Three piece suits consisted of a jacket with matching waistcoat or vest, often worn with contrasting trousers. Another option was to match your pants and your coat and wear a contrasting waistcoat. By the 1950s suits had once again bulked out, with a relaxed drape and very epic lapels. 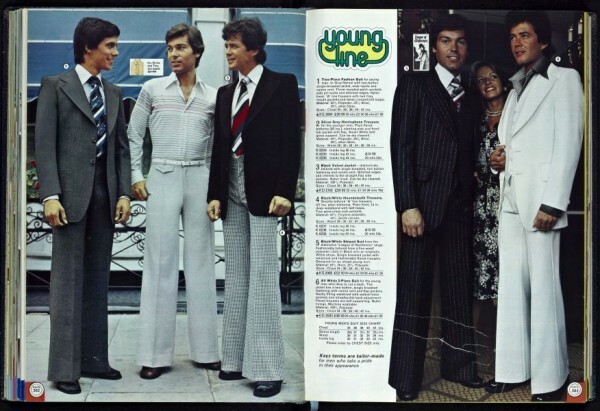 Only to be completely subverted by the 70s and their love of flared EVERYTHING! More recently the 2000s brought with them a love of super fine tailoring, absolutely perfect structure and a very minimalist aesthetic in suits. All the while ensuring that our upper bodies look strong and our waists narrow. Though even a cursory look will reveal that, since the early 1900s there has been almost no substantive change in the structure of suits. It’s difficult for someone who loves patterning as much as myself to comprehend how little the basic technology of suits has changed over so many years. What’s up with Tailoring these days?